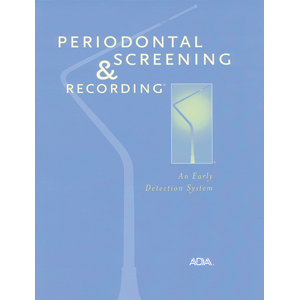 Periodontal Screening and Recording (PSR) is a rapid and effective way to screen patients for periodontal diseases, and its use is supported by the ADA and the AAP. Easily implement a PSR program in your office with this booklet, which accurately describes the process and coding system. It includes complete instructions with full color photographs and questions-and-answers for dental professionals. 12 pp.